These days, Heat styling tools (Curling wands, Curling Irons and lot more) add fabulous look with moderation to any occasion. Women look great with gracious curls. You must have tried to straighten your hairs, why not try some other look to stand from the crowd? The ability of your hairs to hold curls is not only determined by Curling Iron but also by your hair’s thickness and texture. Today, different types of Curling Irons are available: Wands, clamps, no-clamps, cordless, ceramic, thick paddles and thin paddles... the list goes on and on. There’s so much to know about Irons. Certain Factors to consider ﻿while looking for ﻿a﻿ Curling Iron. Variable Temperature: According to thickness and texture of your hair, adjust the temperature of your styling tool. For thick or curly hair, you need a higher heat setting to achieve the look you want. If your strands are thin or fine, you should use a lower heat setting because a higher heat setting may damage your hairs. Keeps Your Hair Looks Cool: The Minimum Temperature for curling must be 200 degrees. For color treated curls, set the heat below 200 degrees to get hair locks. Barrels Size: For tighter curls, you can use a barrel which is less than an inch whereas for loose waves its best to get larger Barrel Curling Iron. Ceramic Is Essential: Well, Ceramic prevents your hair from getting damaged. The negative ions, which damage your locks, are released while creating a curl. Ceramic is must for regular Curling Iron. Portability: Is your Curling Iron portable? Curling Irons come in 2 options one which runs on electricity while another runs on batteries. If you travel a lot, you need a portable Iron. Always curl away from your face. It not only gives you natural look but also adds pretty good volume to your curls. Curling your hair from the root will retain the curl for a longer period, this is essential for thick hair. No one wants a frizzy look; you must always use on dry hairs or before using Curling Iron, blow-dry your hairs at low setting. Don’t burn your hairs to get enchanting curls instead, go for one of these shortlisted Curling Irons. Kadori Professional presents Tourmaline Ceramic Technology with an affordable price. Large size (32mm) and medium size (25mm) are available within same price tag; its ergonomic design makes it more comfortable to use. Kadori Professional achieves the desired temperature with its 5 different settings that range from 330F-450F. Outfitted with universal voltage, provides 1.5-inch long barrel. The 360 degree swivel cool tip gives the place to hold hairs while curling. It has professional length cord provides flexible styling with ease. Automatic sleep mode will turn on, if not used for longer than 60 minutes. Quite easy to use the kadori includes basic on and off switch with temperature dial at its left. With a shield, the dial is protected to get rid off accidental temperatures. "Curling Irons have become an essential part of the beauty industry. Every hair tool gives a different type of curls. To select amongst those is quite a messy job." Enjoy curling your hairs with Pro ​. With this, Long-lasting tight ringlets can be turned into gracious waves. Let’s have a glance at its specification. It’s got power rating of 100/240V; 50/60Hz. It will automatically shut-off if it’s in standby mode for more than 30 minutes. 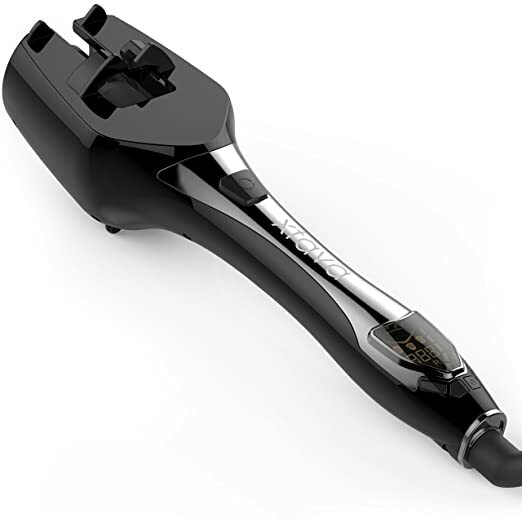 The comprehensive styling tool provides multiple temperature adjustments with 3 heat settings: Low (260-degree), Medium (320-degree) and High (380-degree). Its titanium coated barrel is sleek enough to protect your hairs. 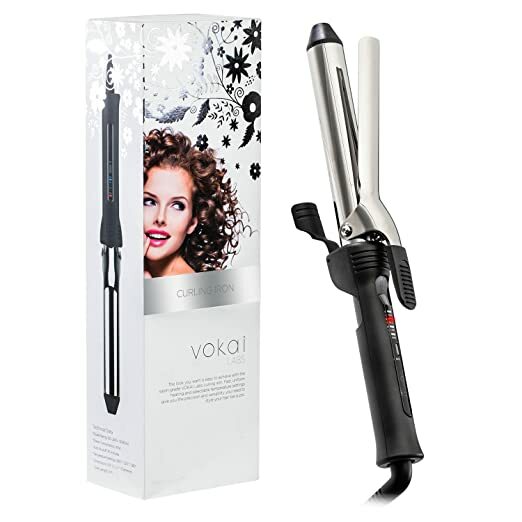 A Vokai lab gives the appropriate heat and superior hold to hairs. For secured strands, the curler offers an attached clamp. When switched on, allow 30 seconds to warm up. According to your hair type select the heat setting; comb your hair before wrapping it to the wand. It has 1- year warranty. "The universally compatible wand gives features like shiny LED indicator lights with a 360-degree swivel string and safety kickstand makes it refined instrument ideal for both home and salon use." Are you in search of Curling Iron which creates flawless ringlets? 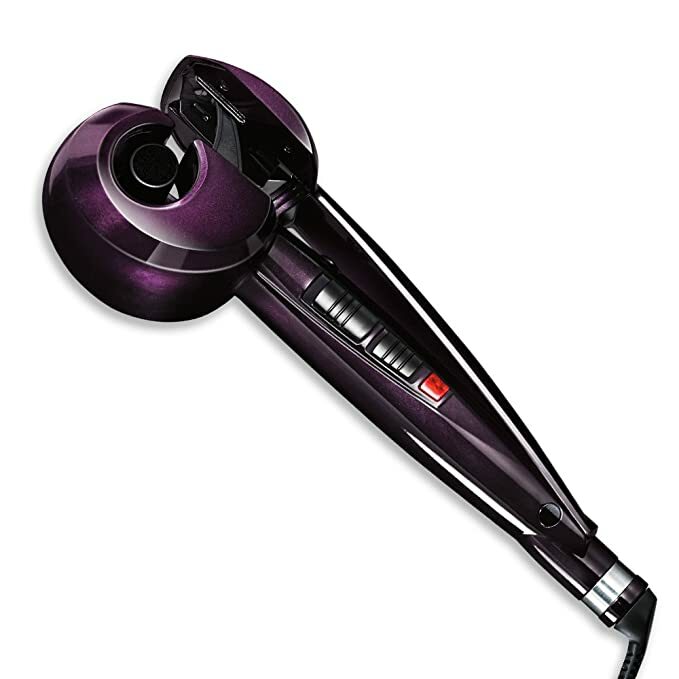 Hot Tools 1110 ensures you hydrated and sleek curl. Many metals can be harsh to your hair; solid gold coating of Hot Tools 1110 keeps your hair damage-free and frizz-free. But is it real gold? I haven’t seen a curling wand, with a gold coating but the wand looks flashy enough. It offers Patented Pulse Technology. Use correct angle to obtain proper twist of curl by holding the iron safely and hair strands. It has a cool and oversized tip that can help clumsy people. 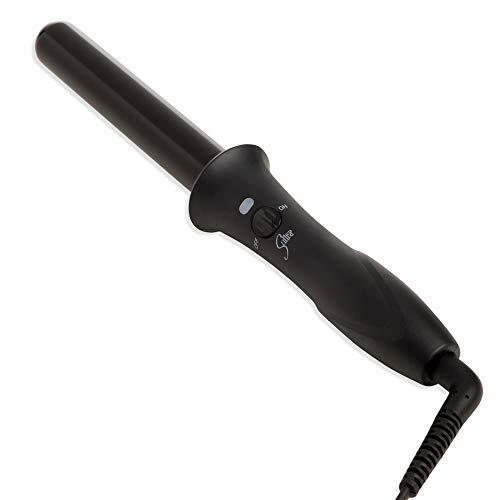 The 1110 quickly heats up to 220 degrees, unlike other curling wands who require more time to heat up. This Iron comes in seven different sizes. 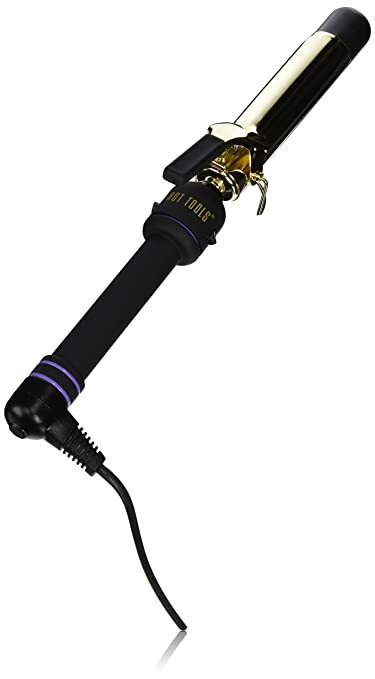 Whether you’re looking for small curls that start at 3/8 of an inch or massive barrel curls that hit 2 inches, you can get it all from this curling Iron. Some people buy several sizes because it gives them ability to create a varied look. Whatever size you think will create the look you want, it's available here. "If you have a pretty good volume of hairs, you should go for this model as it presents easy grip handle that is padded which avoids stress to hold on. It’s lightweight makes it smooth to use for longer periods." 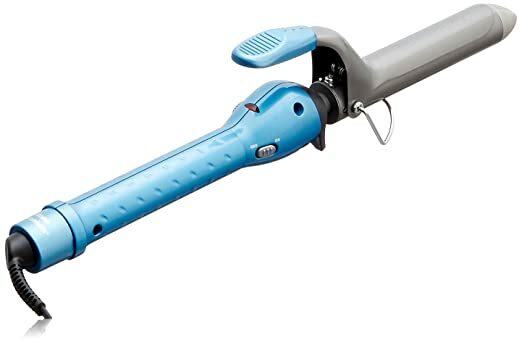 The Babyliss Pro Curling Iron comes up with Sol-Gel Technology. It’s one of the rarest older Iron made from titanium that uses nanotechnology. The titanium is covered with Sol-Gel Technology, which strengthens the grip without pulling it near or burning it. Meanwhile, the gel makes hair sleeker as you pull them out of the Iron. When you chose the temperature on BaBylissPro, it almost heats up instantly which saves a lot of time. While styling hair, you should be alert about the instant acceleration (up to 220 degrees) in the temperature. The handle is long enough then the actual barrel that makes easier to twirl your locks. The massive plus of BaByliss Pro is clamp-free. From 1 inch to ¾ inch, a variety of sizes is available. "While curling, the Iron gets heated up, so does the tip. 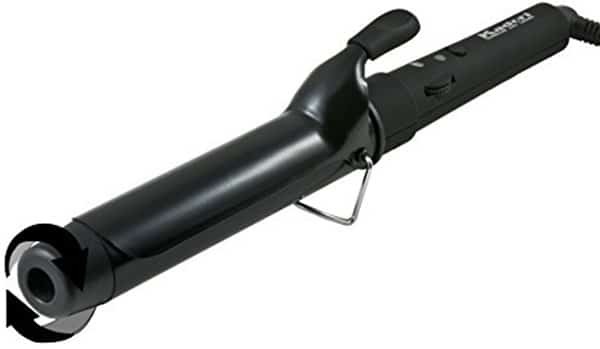 This can be a problem when you’re trying to curl hair because it doesn’t give a lot of different ways to get hair in order without getting hurt. You can avoid it by investing some extra bucks for a heat-resistant glove." Why go for two separate Irons when both the features are in one. Without switching hands, The Instyler Max easily lets you control the direction of the rotating barrel. Double click by closing the barrel to the bristles twice rapidly, to change the barrel rotation. 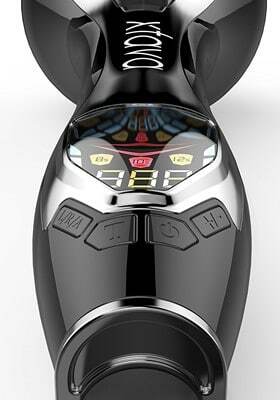 By rotating barrel, you can easily style your hair in any angle. To utmost, the smoothing action of the barrel set its direction to rotate from the root towards the tip of hair. To build volume of hair rotates it in the opposite direction. The possibilities with Instyler Max are endless because you get silky straight style with incredible voluminous hairs. Wrap your hair around the rotating barrel, to get soft and gorgeous curls. Max gets heated up rapidly within 30 seconds so that you can achieve your desired look within minutes. The multiple heat settings range from 285 degrees to 425 degrees applicable for fine, medium and thick hairs. The 6-inch cord is quite flexible while styling. You need not worry if you forget to turn your Instyler Max off; after 45 minutes it will automatically shut-off after discontinued use. 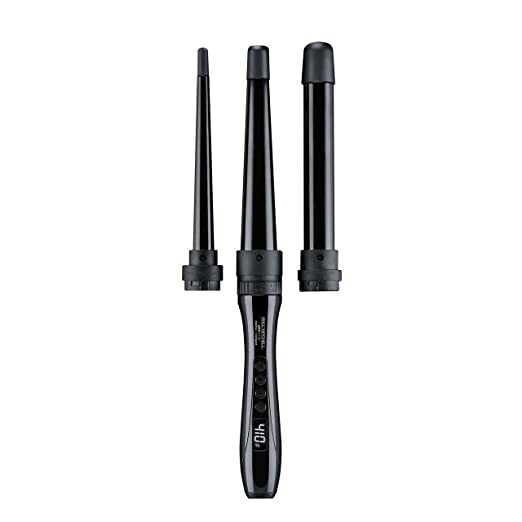 "With the ceramic tourmaline coating and floating plate, the barrel distributes the heat to protect hair from being crushed, while the accuracy is aligned ionic bristles reduce frizz." Look stunning with Sultra the Bombshell Rod Curling Iron. It’s a no-frills and uncomplicated amongst all the curling Irons, and it stands out of the crowd with its smoothness and ease. The Exclusive ThermaTru Ceramic Technology prevents hair from getting fried and damaged. I would recommend you Sultra the Bombshell Rod because it’s one of the best ceramic Curling Irons out there. It includes a pink thermal glove to keep you away from burning hand whereas it increases the speed of curling hairs. 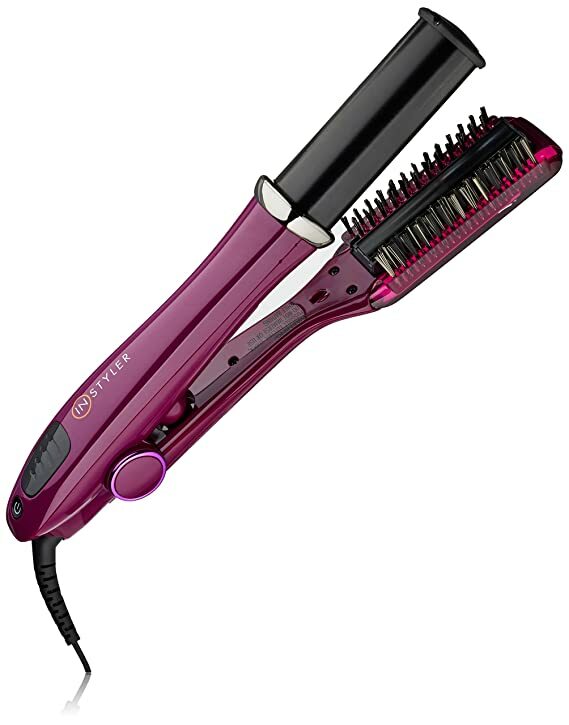 Sultra the Bombshell Rod, has a dual heater which heals your hair during the styling process. It heats up instantly, universal voltage and auto shut-off with 2 years warranty. The temperature shoots up to 380 degrees and hence is recommended to use the included glove. It turns your everyday hairs into gorgeous beach-like waves. It comes in three different sizes. "If you want to protect your hairs from heat and maintain trending style then Sultra The Bombshell Rod is the machine you should go for." Want a SMOOTH frizzy look QUICKLY? With the new Infiniti Pro by Conair Curl Secret, get the perfect wavy hairs. This rebellious styling tool gives you an alluring twist as compared to other curling Irons. Place some of your hair strands gently into the chamber, where your hairs are clutched, timed and heated with all the possible directions through which you get a stunning look. Now, let’s have a glimpse at its specifications. At first, switch on the curler that provides high and low settings. Once the curler is ready to use; the red light will blink. But you need to keep in mind; hairs must be drawn into the curler only when they are clean and well brushed. Timer Settings are available, where you can set the timer for 10 to 15 seconds. It brings 3 curls settings: 8 for loose curls, 10 for natural curls and 12 for tight curls. It includes sleep mode, if your curler is rested for an excess of 30 minutes, it will automatically shut-off, hence saving power. The temperature heats up to 400 degrees, and its peculiar design of Infinity Pro fits well in your palm by easing your task. For tangle-free and accurate curls, a professional brushless motor is available. "It’s appropriate for any hair lengths or types which give awesome curls with comfort since it offers Tourmaline Ceramic Technology." Need some professional performance with creativity? Its Ceramic Coating is better for your hair while styling. We must say Paul Mitchell is innovating awe-inspiring styling tools. It has 3 interchangeable ceramic barrels that give loose beachy waves, natural looking curls, and ringlets. It has the instant heating temperature up to 410 degrees. It protects the hair end by splitting and damage with its clamp-free design where your hairs make a straight way to heat sources of curling Iron. Followed by Far Infrared Technology are the negative ions. 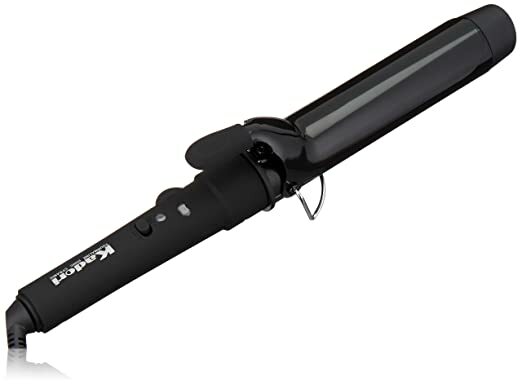 Express Unclipped by Paul Mitchell offers a digital display with a dual voltage. "It’s ideal for all type of hair lengths. Besides, it comes with 1-year manufacturer warranty." Are you in a hurry and still want a professional look? I would like to suggest you the ​, brings a versatile look to your hairs with its sophisticated design. It gives Glossy curls and voluminous waves with its Ceramic Tourmaline Technology. It offers quick styling without much fuss. To switch on the Curl machine, press and hold the power button. By pressing Left/Right/Auto Button rotational direction is selected. The timer is available, where you can set a timer up to 10 to 15 seconds. After 60 minutes it automatically shuts-off. 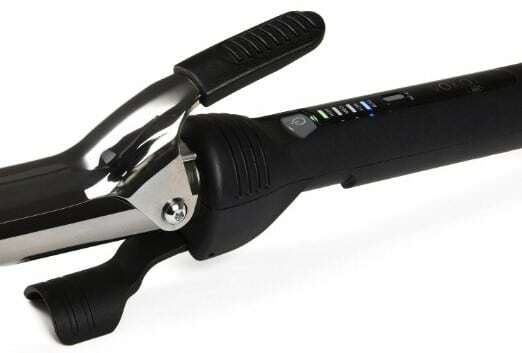 The auto curler offers dual voltage: one with a temperature speed of 360 degrees and another with a setting of 370-410 degrees. Once you are ready, slide some of your hairs into the slot. Now, press the curl button for long lasting curls. It will notify when it’s time to get your hairs off the curler with a beep sound. Customized Curls: Select the direction, using left/right/auto button to twist your curls in the desired way. Alternate settings can be used to get multiple natural looks. Ergonomic ease: The Hidden beauty of a woman is her hairs, and we can reach any limits to make our hair look gorgeous. "Hence, to get a perfect curl we might go to uncomfortable positions, to avoid such situations, black magic curl offers rotational directions that remove awkward angles." It comes with a stylish black colored box with bold wordings as ”32mm curling wand” covers the box with its advanced design. Achieve voluminous curls with NuMe Professional Tourmaline Infused hair styling curling wand. NuMe Professional comes in two wands: Classic and Magic. The Classic ones have Tourmaline Infused Ceramic Coating whereas the Magic Wand has Titanium Coated barrels. While styling hairs, you might get hurt due to its temperature. Well, here you get heat resistant glove to prevent hand-burn. Its ergonomic design makes it comfortable while styling and it supports rapid heating that gives superb long lasting curls and also decreases the wait time. It’s straightforward, and clip-less design makes you place your hairs perfectly over the curling Iron. Overall, NuMe Professional is the best choice amongst traditional curling Irons. "Get frizz free curls and voluminous waves with NuMe Professional Tourmaline Infused Hair Styling Curling Wand." Now the fashion has changed since girls prefer curl wave rather than a sleek, glossy look. 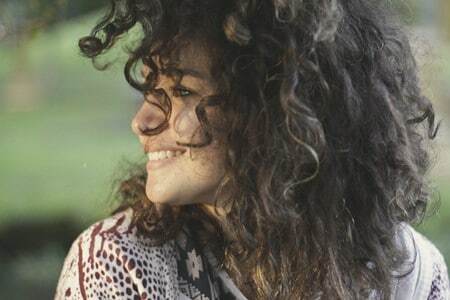 Awesome curls don’t come naturally, as women need advice to get shiny and frizz-free curls. Varieties of hair curlers are available out there. With a price tag of $100 now you can add a hair curler to your dressing table. I hope, my review helped you choose the best Curling Irons. If you liked this post, then please do consider sharing it on social media platforms like Facebook, Google+, Linkedin, Twitter, Stumbleupon, Reddit, etc. Nevertheless, if you still have any query, then please feel free to let us know by dropping your doubt in the comment section below, I would be glad to help you out. Thankz Emilia..i wanted to gift a best hair curler to my GF, bt i was confused..i gone through few articles bt this 1 helped me….!!!! I hope she likes it..! !